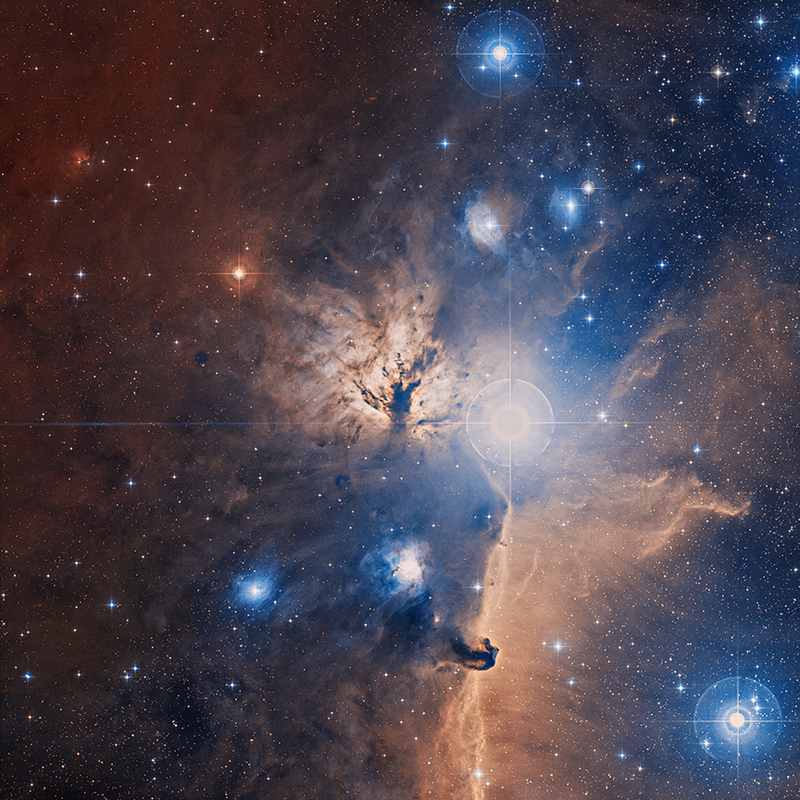 Explanation: The Flame Nebula stands out in this optical image of the dusty, crowded star forming regions toward Orion's belt, a mere 1,400 light-years away. X-ray data from the Chandra Observatory and infrared images from the Spitzer Space Telescope can take you inside the glowing gas and obscuring dust clouds though. Swiping your cursor (or clicking the image) will reveal many stars of the recently formed, embedded cluster NGC 2024, ranging in age from 200,000 years to 1.5 million years young. The X-ray/infrared composite image overlay spans about 15 light-years across the Flame's centre. The X-ray/infrared data also indicate that the youngest stars are concentrated near the middle of the cluster. That's the opposite of the simplest models of star formation for the stellar nursery. 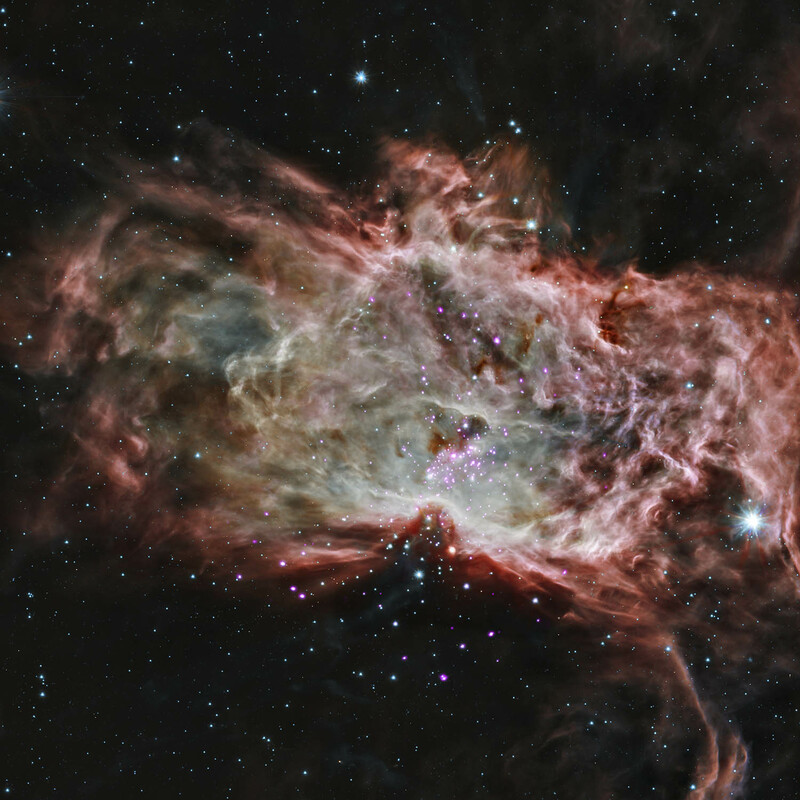 They predict star formation to begin first in the denser centre and progressively move outward toward the edges leaving the older stars, not the younger ones, in the centre of the Flame Nebula.